Is Your Pest Problem Out of Control? Call Us, We Can Help. German cockroaches are common pests in NJ homes. 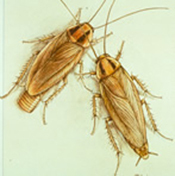 In fact, these brown bugs are one of the top pests we handle at Allison Pest Control NJ. How much do you know about these bugs? Check out the following facts about them. • They’re shy. While you might see a German cockroach or two in your home, most of them spend their time hidden away. These bugs like staying in places that offer protection, such as inside walls or behind cabinets. • They reproduce rapidly. German cockroach females are able to produce thousands of cockroaches over the course of a year. This helps explain why cockroach infestations can be so hard to deal with. • They prefer heat. German cockroaches like staying in areas that are hot and humid, such as around appliances or equipment that gives off heat or on hot water pipes. Their ideal conditions are areas with temperatures between 85 and 95 degrees Fahrenheit and humidity levels between 90 and 95 percent. • They know how to stay away from insecticides. German cockroaches quickly learn which surfaces have been treated with insecticides and they avoid these areas as much as possible. This also makes it difficult to get rid of German cockroach infestations. If you have a German cockroach problem in your home, contact Allison Pest Control NJ. We offer high-quality pest control services for homeowners in Monmouth and Ocean Counties. 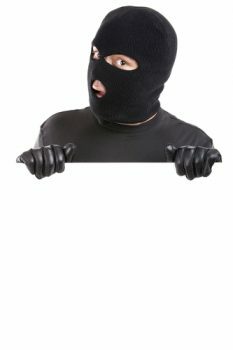 Don’t Let These Pest Sneak Into Your Home! We at Allison Pest Control in NJ have seen some pretty bad cockroach infestations, as well as some novel methods homeowners have used to try to get rid of them. One individual in Washington decided to take the notion of DIY extermination to its logical extreme. A can of bug spray can certainly help control pests, at least temporarily, but this person decided to speed up the process by turning it into a mini-flamethrower. Predictably, this homegrown solution led to a situation that ended with the fire department being called. By the time they arrived, the resident had managed to extinguish the fire and nobody ended up getting hurt. 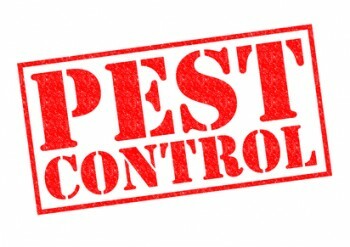 The team at Allison Pest Control in NJ knows that a cockroach problem can be frustrating, but they can be controlled relatively easily by a trained professional. A visit by a professional exterminator can help get rid of your problem and keep cockroaches from coming back for a long period of time. Our methods are unobtrusive and certainly do not include the use of fire, especially inside your home! Our pest control team has been serving Monmouth and Ocean County residents for nearly 100 years. Give us a call at 1-800-564-4585 to see what can be done about these unwelcome guests in your house, or to learn more about how to prevent cockroaches from making your home theirs as well. ermites, cockroaches and other insect pests are a common reason for NJ residents to seek help from Monmouth County pest control experts. While you might not appreciate seeing these insects inside your home, it’s fascinating to think about how long some of these species have been around. Some types of insects have been on Earth for millions of years, as scientists have discovered. Researchers have found a few specimens of prehistoric insects that have been preserved in amber. The specimens, which were found in Spain, Lebanon and Myanmar, were small mantises. Researchers are using these discoveries to learn more about these species. The mantises have been stuck in amber since the Cretaceous period, which was more than 65.5 million years ago. In fact, these specimens date back even further than that. The mantis found in Myanmar is around 97 million years old, while the one found in Spain is 105 million years old. The mantis found in Lebanon is roughly 128 million years old and belongs to a known species. In contrast, the other two mantises belong to newly discovered species. Scientists are studying these species to learn more about how they might be associated with termite and cockroach evolution. If you have a bug problem in your home, contact our Monmouth County pest control experts for help. Allison Pest Control can help you get rid of ants, bees, termites and other insect pests. Call Allison to be Insect-Free this Spring. With warmer temperatures on the way, NJ residents will soon be seeing all kinds of springtime pests. These bugs come out of hiding and look for food or places to build their nests for spring and summer. It’s important to know which pests are most likely to invade your home this spring, so you can take steps to prevent them. Termites: These insects can cause tremendous damage to your home by eating away at wood. Cockroaches: While cockroaches won’t damage your home, they can spread bacteria and other germs and irritate those with asthma. Carpenter ants: These pests also damage homes by creating tunnels through wood. They typically look for spots with rotted wood or damp wood. Carpenter bees: These bees can cause structural damage by boring into wood. Fix or replace damaged window screens. Keep bushes and tree branches from touching your home. Keep your kitchen free of crumbs and empty your trash can often. Have preventive residential pest control done to keep these bugs out of your home. If you need residential pest control services this spring, please contact Allison Pest Control. Our Monmouth County pest control experts can help you prevent carpenter ants and other spring pests from entering your home. German cockroaches are among the most common pests in New Jersey. You’ve probably seen these brown bugs running around near garbage cans outdoors, but they’re often seen inside homes as well. Keep the following facts about these pests in mind, and don’t hesitate to seek help from Monmouth County pest control experts if you see any in your home. German cockroaches can crawl inside your food supplies, contaminating them and forcing you to throw them away. These pests can also spread disease, including parasitic worms, due to their habit of moving through raw sewage and other germ-infested sites. When they pick up these bacteria and other germs on their bodies, they can pass them onto your kitchen counters and other surfaces. Cockroaches can also make asthma worse, especially in kids, and cause allergic reactions. German cockroaches feed on a variety of items, ranging from regular human food to pet food and nonfood items, such as soap and toothpaste. You’ll typically see them in your bathrooms and kitchen, where they roam around searching for food sources and water. They’re able to get inside your home by squeezing through openings that are as tiny as 3/8 inches wide. If you’re having a problem with German cockroaches, our Monmouth County pest control experts can help. Contact Allison Pest Control for an appointment.